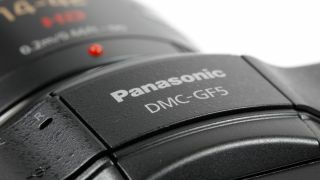 Panasonic: Megapixels are "just a number"
A spokesperson for Panasonic says that it's not all about the number of pixels on a camera. Speaking to TechRadar about other cameras, such as the Samsung NX series, which feature high resolution sensors, Barney Sykes from Panasonic UK said "It's just a number isn't it? It's a number. It's relative to the sensor, it's pixel density." The highest resolution sensor currently produced by Panasonic is the 16.6-million pixel device found on the G3. Meanwhile, the new GF5, announced earlier this year, features a 12-million pixel sensor which the company claims is capable of producing the same image quality as the highest resolution sensors in its range. Sykes continued, "In interchangeable lens cameras, consumers are a bit wiser. I think the megapixel bubble has somewhat burst now. "It's not about the number of megapixels you have, it's about the quality of the image you can get, and that's what we're focusing on. "The GF5 has 12 megapixels, some people might think that's quite mediocre, yet it's selling really well. Samsung had a 20-million pixel camera last year, yet they're registering at less than 1% of market share in the weekly GFK data. "The ultimate goal is image quality, and other things such as usability, filter effects, intelligent auto, things like that, it's not just the number of pixels." It's been rumoured that Panasonic will be introducing more compact system cameras this year - it will be interesting to see what resolution sensor the company decides to adopt if, or when, such products emerge.